Order ahead and get rewarded! Welcome, burger lovers! 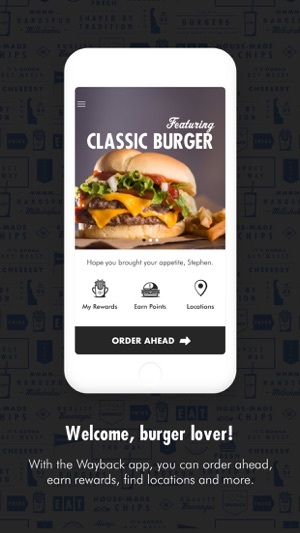 Connecting with your favorite Wayback Burgers restaurant while on the go is now easier than ever. 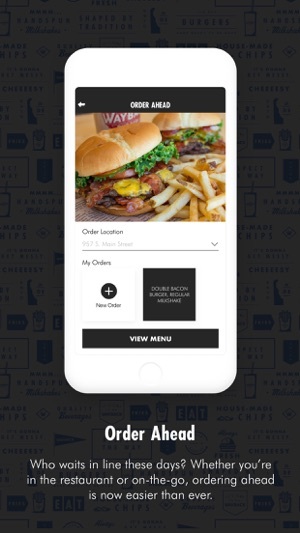 With the Wayback app, you can you can take advantage of features ranging from mobile ordering to earning points through our Wayback Payback Rewards program. - Share your experience on social media or directly with friends!" We have been going to way back burgers for over 6 years!! We love Dario and all his employees. They all treat my daughter like royalty. She has allergies and I know that the grill is always cleaned and her order is always dairy and tree but free. There are not many places we eat out at due to her allergies but Wayback Burgers is our most trusted place!! Thank you for always making my daughter feel special and me as a mom, never nervous she will eat something she shouldn’t!! A lot better than that last crappy app they put out, but seriously lacks originality. 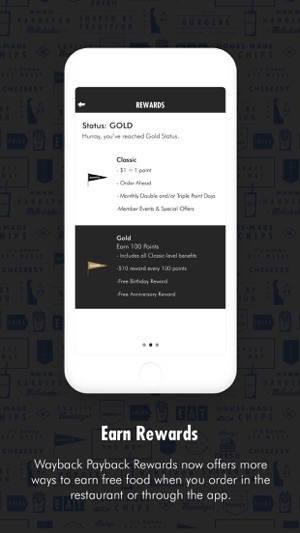 They straight up copied the Starbucks app. The pre-sign in menu link just opens a browser, which should keep you in the app instead. If you sign in, there is no food menu link without clicking “order ahead”. Instead should be in the application Menu or front page. 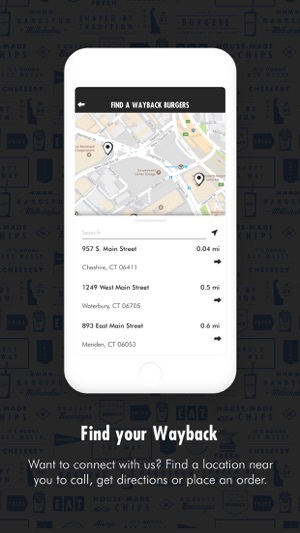 Directions to restaurants default to Walk directions instead of Driving. We appreciate your suggestions! We will keep them in mind for our next upgrade of the app. I was in a hurry to grab some dinner for my kids and I remembered it was kids night at Wayback Burger. So I downloaded the app and it takes me to safari anyways for the menu. But my issue is that every time I try to click the down arrow to find other items besides burgers it quits working! So I literally turned the car around and went someplace else to grab food. Lost my business. I have yet to ever try the place.